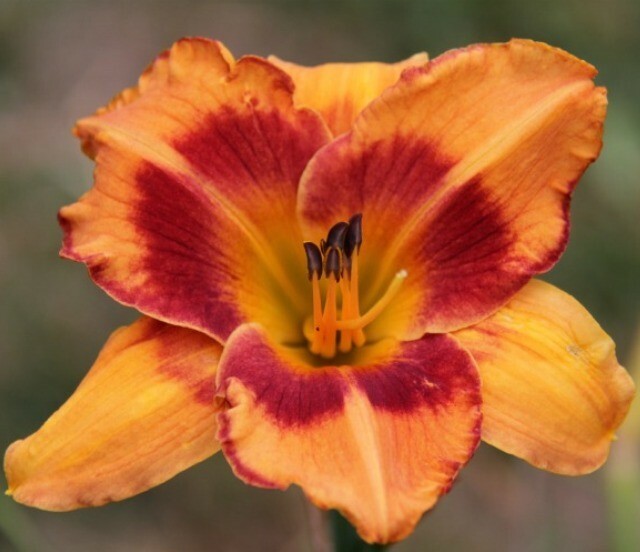 Daylily 'All Fired Up' is an orange sherbet colour with a huge striking red eye and a full red picotee edge on the petals. The throat is green. The narrow petals and sepals give the bloom an informal shape. This is a good grower clumping up rapidly. It is also one of the early bloomers in the garden.